Wide, baggy pants in pure silk. 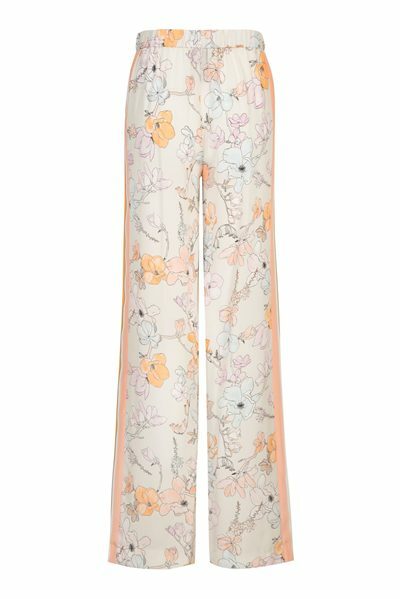 These pants are printed with enchanting magnolias and are decorated on the sides with sewn-on stripes. The elasticated waistband ensures a perfect fit. Marc Cain combines a sense of aesthetics and art with a laid-back attitude, a natural look, innovative thinking and exclusivity. 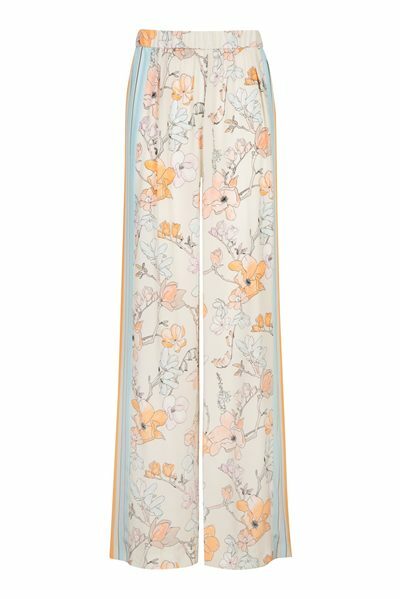 Marc Cain is a declaration love to a woman. What kind of woman is she? She lives in the moment, is self confident, open-minded and and curious. She loves being a woman and expresses herself by what she is wearing- naturally and as a matter of course. Marc Cain stands for innovative thinking. High expectations on design, quality and material as well as the latest processing technologies and the perfect fit are the company´s credo.